Spring is here, and with that comes fun nail colours and patterns. Here are my Top 5 picks that I've pinned on Pinterest and I can't wait to try. Polka Dots- Nothing screams Spring more than polka dots, I love this look it has everything I love, purple, black and sparkles. Flowers- I love the mix of colours, I normally don't like pink but this combination is amazing. 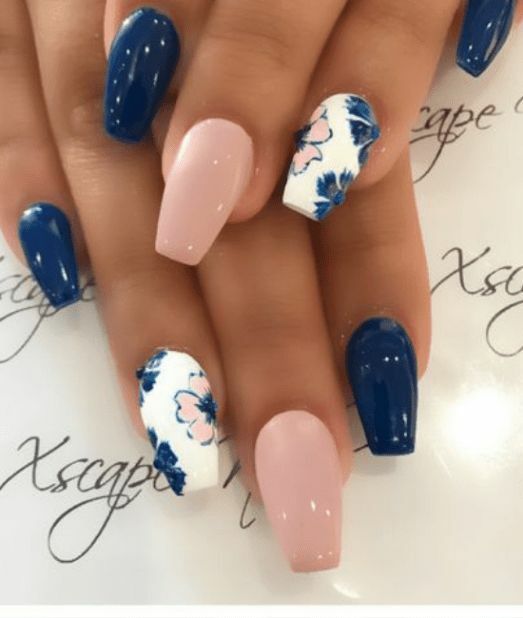 Blush pink, and a lovely blue mix with flowers. Yellow- These nails make me happy! Yellow makes me think of sunshine and sunshine makes me happy. 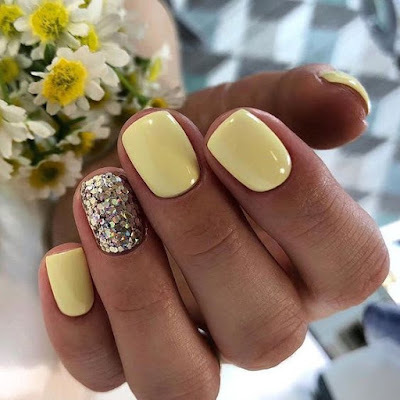 Go get these your nails done in yellow and put a smile on your face. Bling- I love bling anytime of the year but when I saw this I thought it screamed Spring. I love the colour and the matte finish. The bling is subtle but so pretty. 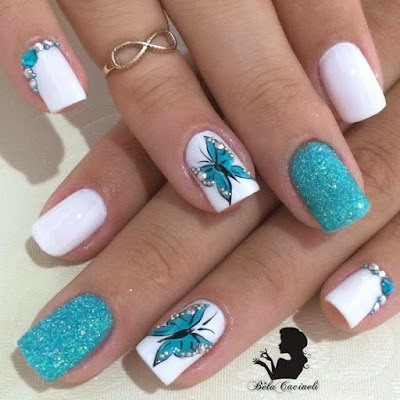 Butterflies- These nails are the definition of Spring, I love this look it has bling, sparkle and butterflies. 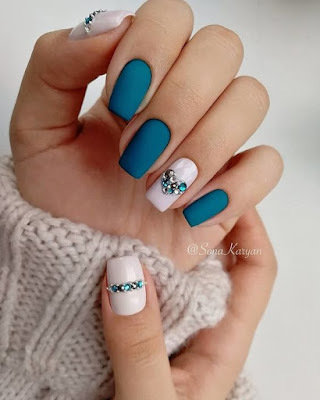 What are you doing with your nails this Spring?